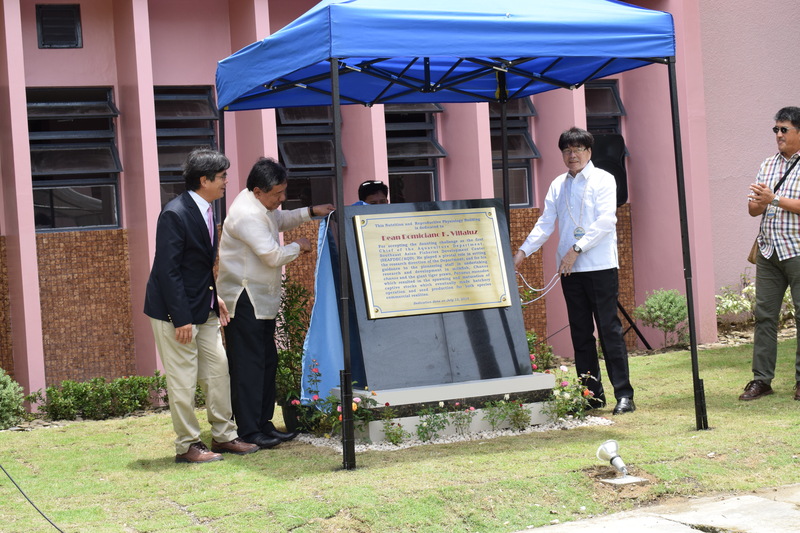 The prime movers in the establishment of SEAFDEC/AQD were honored in dedication ceremonies as two buildings at the Tigbauan Main Station were named after them. The Administration Building is now named as the Dr. Quiterio F. Miravite Hall while the Nutrition and Reproductive Physiology Building is now the Dean Domiciano K. Villaluz Hall, in honor of these men who were instrumental in the establishment of SEAFDEC/AQD in the Philippines in 1973. 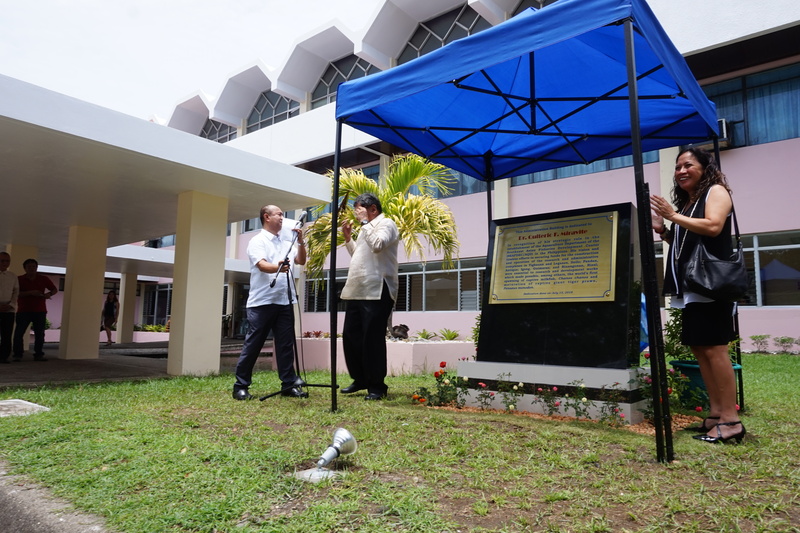 Markers dedicating the buildings were unveiled by SEAFDEC/AQD officials and representatives of the families of Dr. Miravite and Dean Villaluz on 13 July 2018 as a highlight of SEAFDEC/AQD’s 45th Anniversary Celebration. “This is a way to say thank you to them and we lovingly dedicate these markers to the memory of Dr. Miravite and Dean Villaluz realizing that their memories remain in the hearts of the people they have touched,” said current SEAFDEC/AQD chief Dan Baliao in a speech. Dr. Miravite was recognized for his vision and tireless efforts in securing funds for the construction and operation of the research and administrative complexes in Tigbauan, Iloilo; Leganes, Iloilo; Pandan, Antique; Igang, Guimaras; and Binangonan, Rizal. These facilities were essential to research and development works which made possible, among others, the world’s first spawning of captive milkfish and world’s first maturation of captive tiger shrimp. Meanwhile, Dean Villaluz was cited for his pivotal role as the first Department Chief and in setting the research direction of SEAFDEC/AQD and for his guidance to the pioneering staff in undertaking research and development projects for milkfish and tiger shrimp. The research projects, which resulted in the spawning and maturation of captive stocks, led to the rise of the hatchery and seed production industry for both milkfish and tiger shrimp.